Houston-based Boxer Property announced today its acquisition of Rochelle Park, 600 E. John Carpenter Freeway and Bank of America Tower, 101 E. Park Blvd. both in the Dallas area. Rochelle Park is an 80,418 square foot 3 story office building that is currently 80% leased. Located in Las Colinas some of Rochelle’s suites offer views overlooking the Las Colinas Country Club and Golf Course. Other amenities include polished granite floors, three story atrium lobby and on-site leasing, management and maintenance. Rochelle Park is also a 2011-2012 Toby Award recipient for best of class office buildings under 100,000 square feet. 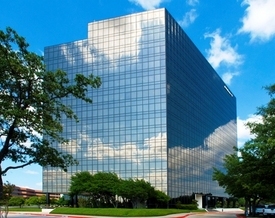 The Bank of America Tower is Boxer’s first building in the prestigious submarket of Plano. B of A Tower is a 225,445 square foot 13 story class A office building that is currently 81% leased. The property is minutes from LBJ/Interstate 635 with quick access to North Central Expressway. This building has an on-site deli, executive suites, travel agency, convenient location and has been awarded Energy Star labels from 2007 – 2010 for its operating efficiency. Mike Hardage and Steve Simon of Transwestern and Scot Farber and Tom Strohbehn of Cushman & Wakefield represented the Seller, Parmenter Realty Partners, in the respective sales. Boxer Property represented itself in both purchases. “We are very pleased to have been able to add these buildings to our growing Dallas Portfolio at what we though was a very attractive basis”, commented Andre Pereira, Boxer’s Acquisitions Director. “These two purchases now bring us to around 700,000 square feet purchased in the Dallas area this year and over 3 mm square feet nationally. We still feel as though there is more opportunity in the DFW market and hope to have as strong or a hopefully stronger acquisition year in the area in 2013”, he continued. Founded in 1992, Boxer Property Management Corporation is a privately held commercial real estate firm based in Houston that manages, leases, and administers retail, medical and office properties with 15 million square feet across more than 120 locations, nationwide.